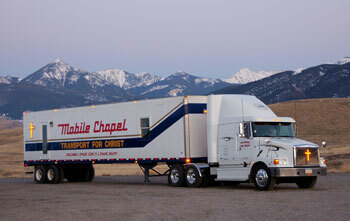 Since 1951, Transport for Christ has been reaching out to the trucking community with the message and love of Jesus Christ. 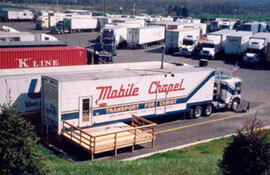 They operate mobile chapels at strategic truck stop locations, providing truckers with a church, a witness to the love of Christ, and the opportunity to learn about or grow in faith in Jesus. 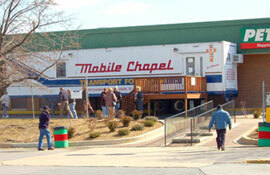 Each mobile chapel is under the guidance of a fully trained chaplain. From humble beginnings, this ministry has grown to support 33 ministry centers in truck stops around North America, as well as active ministries in Russia and Zambia.